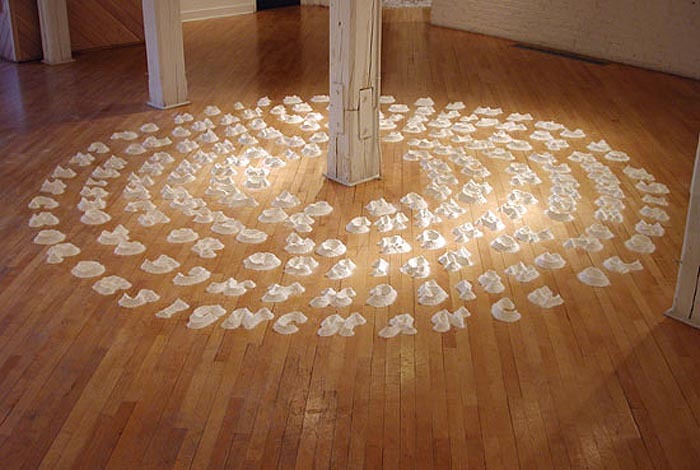 Delaware-based sculptor David Meyer’s work ranges from installations to simple objects that compel the viewer to take a second look. His installation Imposed Order is composed of three words “Chance Or Design” repeated continuously in concentric circles. 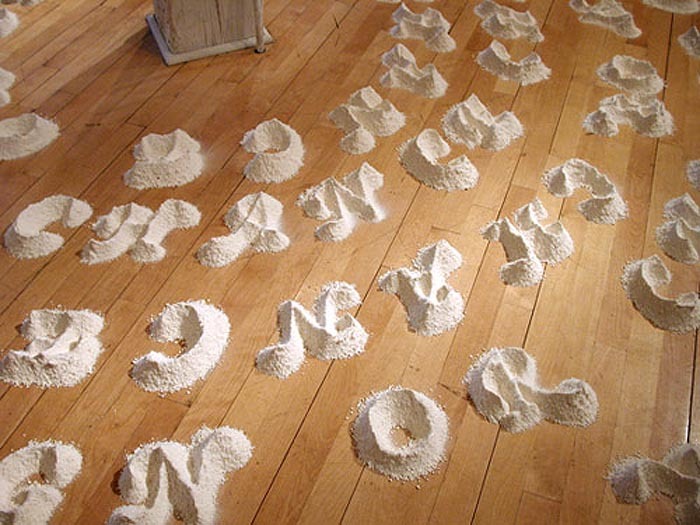 The type is created on site, sifting flour into piles to form each letter. The scale and physicality of the piles of text are designed to create an illusion of permanence. You can see much more of Meyer’s work on his website. This entry was posted in Art, Stuff We Like, Typography. Bookmark the permalink.